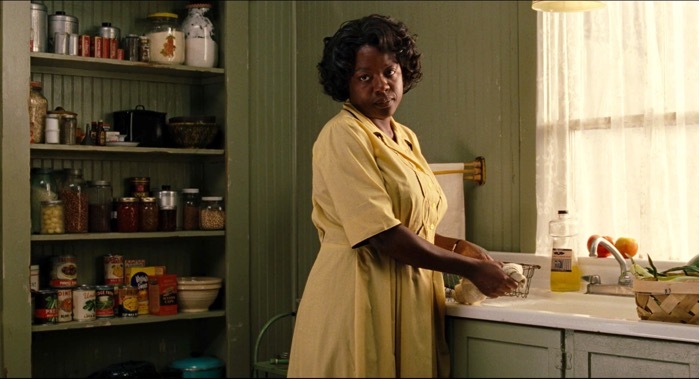 I’ve watched the movie The Help many times over the years, and there’s something about it I never noticed until just the other night. You know that part at the beginning where Skeeter asks Aibileen if she ever wanted to be something other than a maid? Aibileen just smiles, a long time, and we cut to another scene. I always wondered what that other thing was that Aibileen wanted to be. Was she too shy to tell Skeeter? Was it some preposterous dream she had when she was a little girl in rural Mississippi in the late 1910s? Had she given up on ever achieving it? The other night, I finally noticed these important clues. Aibileen is looking at Skeeter. Aibileen narrates the whole movie. Aibileen writes for an hour or two every night. Every night. I noticed all of these things, and I suddenly realized. Aibileen not only wanted to be a writer. Aibileen became a writer. I’d always thought the end of the book was preposterous. How could Aibileen be so sanguine about earning a living after Hilly had spread that horrible lie about her being a thief? She’d never work as a maid again. And in early 1960s Jackson, Mississippi, how many other ways could an African-American woman earn a living? But in the movie The Help, the story we are actually “reading” is Aibileen’s book, not Skeeter’s. The director, the producers, everyone – they wanted us to know that Aibileen becomes the something else that she wanted to be. As unlikely as it seems, she does become a writer. Of course this doesn’t mean that Aibileen earns her living from writing. Like I said already, the odds were against her. But I sure hope she does. I’m glad I noticed this about the movie. I think the director/writer was trying to make the story be more about the African-American characters, instead of it just being a story of another white savior. Even though Skeeter still gets to go off to New York at the end, and Aibileen and Minnie and the rest of the maids are still stuck in Jackson, and Yule May’s in prison. I still wish the book had been written by an African-American writer. And I wish the director/writer of the movie had been African-American. Aibileen says at the end that the writer her son had always said would be in the family, maybe it would be her.